If you are looking for any retro backgrounds with a pretty retro or handmade feel, you may have just found the perfect fit. 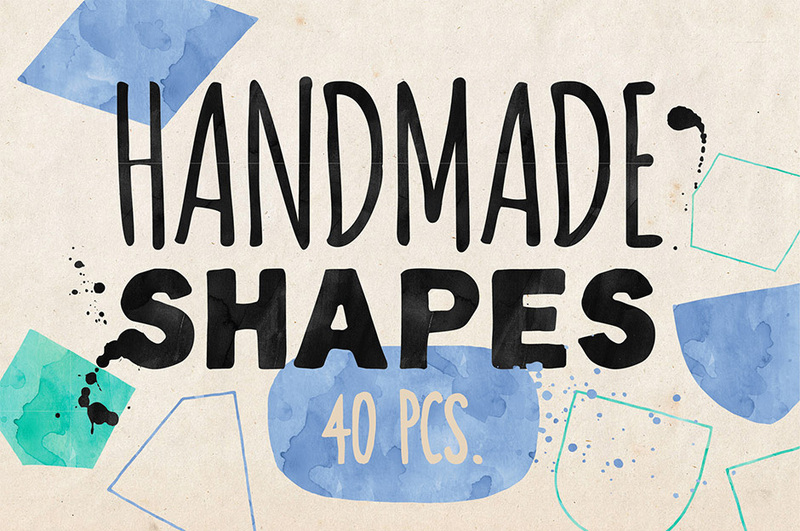 It’s a collection of 40 unique shapes illustrated by hand. These are completely scalable and editable vector graphic elements. Software compatibility: Adobe Illustrator CS and newer. .PNG files will work with most graphic software. File size is approx 12.7MB (22.4MB unzipped), offered as a single download. Versatile selection of shapes. Thanks for another great Birthday Freebie! Thank you for the hand drawn shapes! We hope that these are a great addition to your collection Trina, happy designing! This product would not download. Gives an error msg. Aw thank you so much for your lovely comment Ulrike, and we hope that you get great use out of these! Thank you for picking this one up Maria! You are so welcome, happy designing!